Would you like to be able to view your job site at any time, from anywhere in the world? How about being able to instantly access an archive of images taken from different viewpoints at your job site? 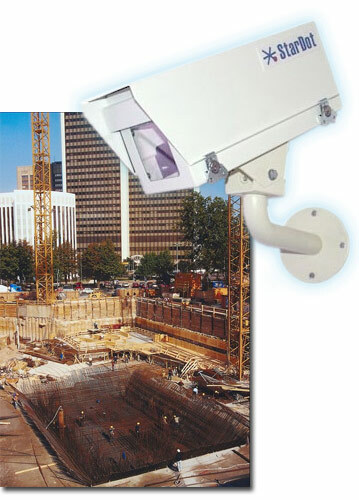 StarDot has a NetCam XL package designed for the job site, which will do all of this and more. What is required at the job site? Is NetCam XL difficult to install? No!.... If you do require any help our Expert Technical Support Team can resolve your issue in no time! What kind of image and video quality can I expect from NetCam XL? Please take a few seconds to fill out our Contact Form we are happy to answer any of your questions and reccomend a solution based on your project requirement. If you're ready to purchase your NetCam XL, click here. If you have any questions, click here or call 1-888-STARDOT (1-888-782-7368).